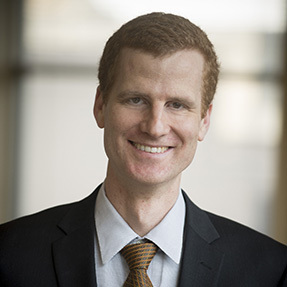 Benjamin Brubaker, a mathematics professor at the University of Minnesota School of Mathematics since 2012, joined the IMA as deputy director in August 2017. His primary research interests are analytic number theory and representation theory, and more specifically, on problems in automorphic forms and representations of algebraic groups and their generalizations on arithmetic covering groups. The deputy director works closely with the director on many tasks and often leads programmatic development.